We Have Reached the End of the Path, but the End is only the Beginning! Thank you for your astonishing support in making our first international project a reality! 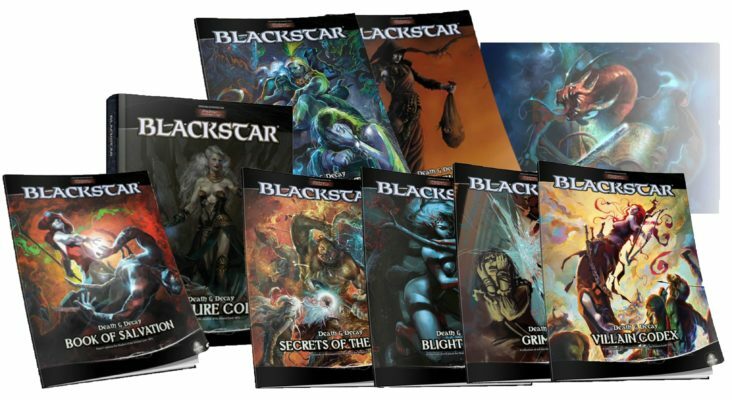 72 Stretch goals unlocked, 8 new booklets added for the pledges with printed SGs, new illustrations, signed art prints, monster cards, tactical maps… So much more! When we begun, this seemed an abyss we were a bit afraid to jump in, but so many of you were so present in this journey and gave advices, and told what they liked, what needed to be improved, that we felt, in a way, you were here in this with us. In this, you all have shown that the distance on this planet is not a barrier when we share a vision, a passion. Thank you! Let us take a moment to thank Robert J Schwalb, the great mastermind behind this beautiful game. His support has been decisive, his work is what has opened our mind’s doors: we will make you proud, Sir. 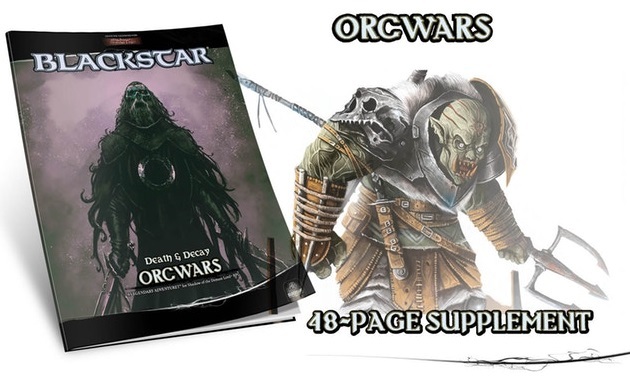 And Robert has not only allowed this BlackStar licensed line, but he will also be one of the authors of Death & Decay, thank you! Also, what about all the friends who are and will be with us in this journey that is just begun? Bruce Cordell, who was here with his monster ready to go in the first day (♥️), and Sean K Reynolds, who was here all the time to play with you. Thank you! But the hard duty now is in the hands of Dave Harrison. Dave will give you his monsters and, as we anticipated, will take care of our English. As you’ve noticed of course, since we are not mother tongue, we need a strong arm to take care of us, so, Dave, it’s up to you now. Good luck! Again, a big thank you to all the wonderful artists we managed to introduce you, and the others we did not have the time to mention. You have the look of this project in your your hands, guys. Be awesome! Last, we want to thank our WMS team, and friends in Hydra team. Everyone was here at any time, literally, since we’re in different time zones and we wanted all day covered. For our Italian Backers, you will receive communications in Italian from our WMS team if you made an ITA pledge, but even if you don’t, feel free to send us emails in Italian. (You will find this update in Italian on Wyrd Edizioni website, also). After a while, we will open the Late Pledges, but we will make an update about this too. So, let us say it again, THANK YOU!